Judge bans Sochi 2014 gay Pride House claiming it would offend "public morality"
March 18 - A Pride House for gay athletes and officials competing at the Sochi 2014 Winter Olympics and Paralympics will not be set up after the move was stopped by a Russian judge Svetlana Mordovina who described the idea as "extremist". The venue was to be a space for conferences and events during the Games in just under two years' time. A court in Krasnodar refused to register the venue on the basis that fighting homophobia is "immoral". Of its reasoning, Mordovina said: "The aims of the organisation contradict the basics of public morality and the policy of the state in the area of family motherhood and childhood protection. "The activities of the [Pride House] movement leads to propaganda of non-traditional sexual orientation which can undermine the security of Russian society and the state, [and] provoke social-religious hatred, which is the feature of the extremist character of the activity. "Moreover it can undermine the sovereignty and the territorial integrity of the Russian Federation due to the decrease of Russia's population." Homosexuality was only officially removed from the Russian list of mental illnesses in 1999. Nikolai Alekseev, a gay rights activist, told Gay Star News: "We still aim to host a series of actions during the Olympics, and we are in contact with the International Olympic Committee. "Hopefully, a solution can be reached. "Our movement has been extremely active in the last years in Russia and this rendezvous [in Sochi] is a good occasion to share with others." Alekseev also mocked the judge's ruling, saying that in the decision she "forgot to add that a Pride House in Sochi will lead to the melting of Arctic ice, global warming and the end of mankind." 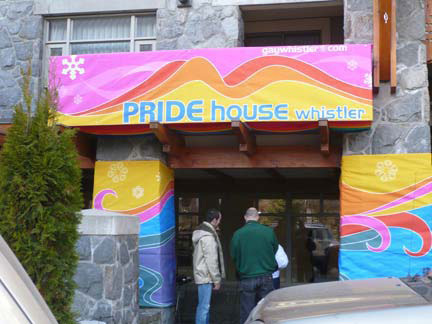 A Pride House was included at the Vancouver 2010 Winter Olympics (pictured above) for the first time, attracting thousands, and there will also be one at this summer's Olympic Games in London. 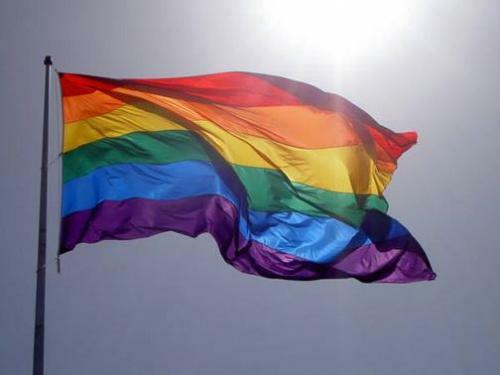 The decision to bar the group from setting up a Pride House during Sochi was criticised by New York's Human Rights First, an independent advocacy and action organisation set up to promote and advance universal rights and freedoms. "The organisation is concerned that the court construed homosexuality as 'extremist' behaviour and urges the Russian Government to amend vague anti-extremism laws to prevent their misuse," they said in a statement.